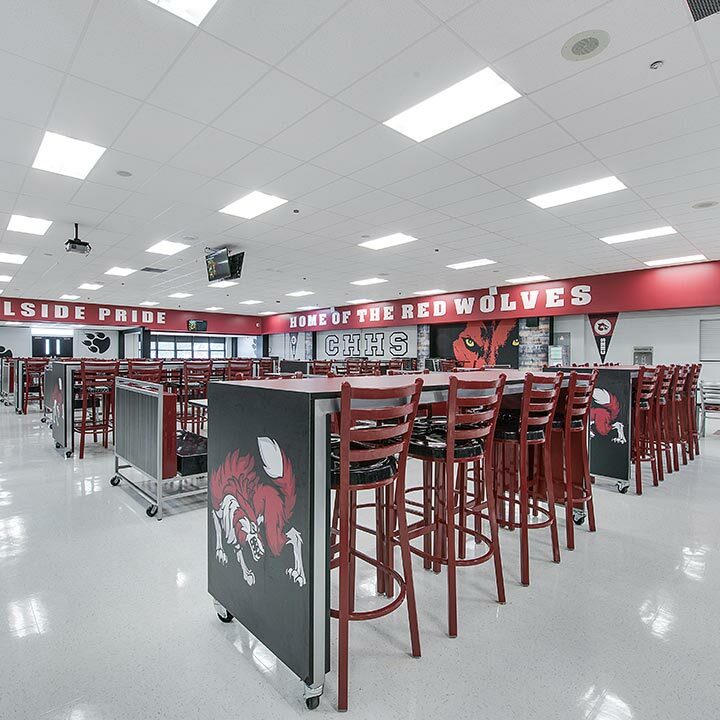 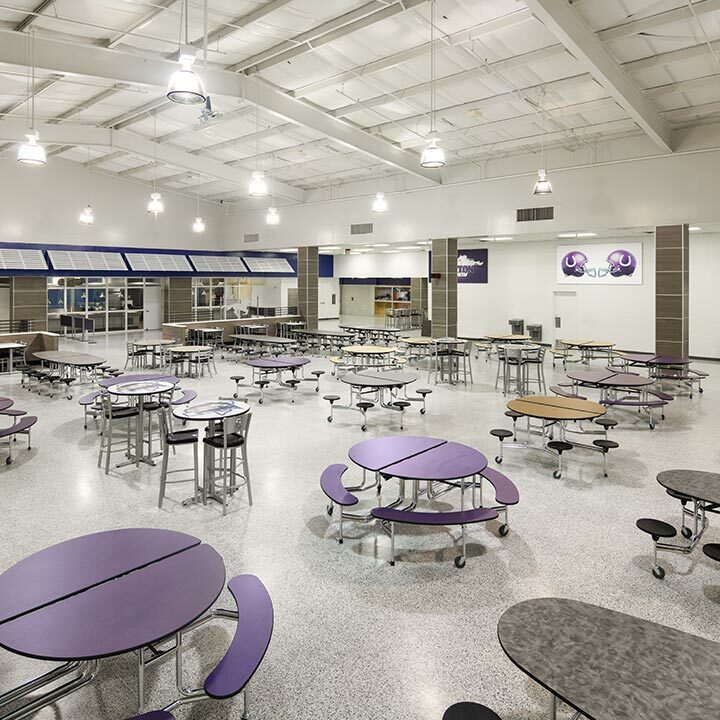 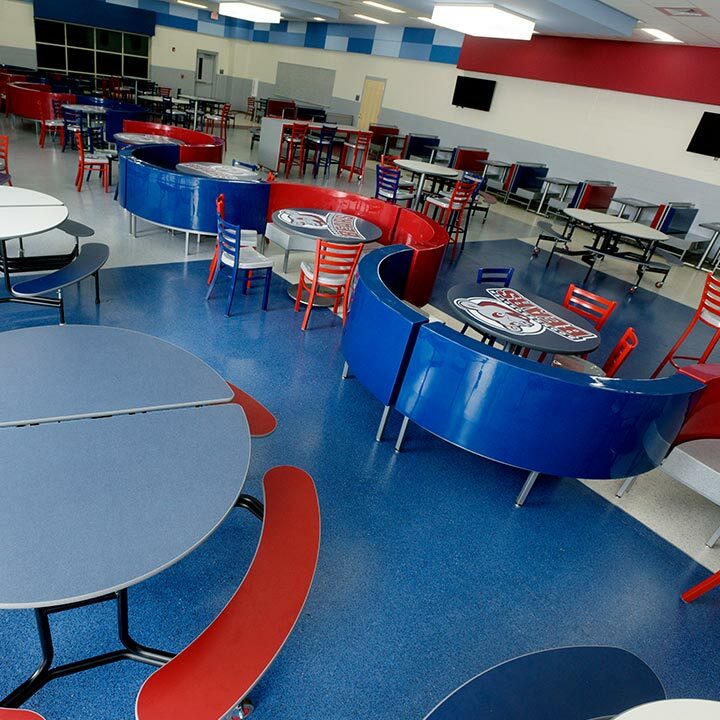 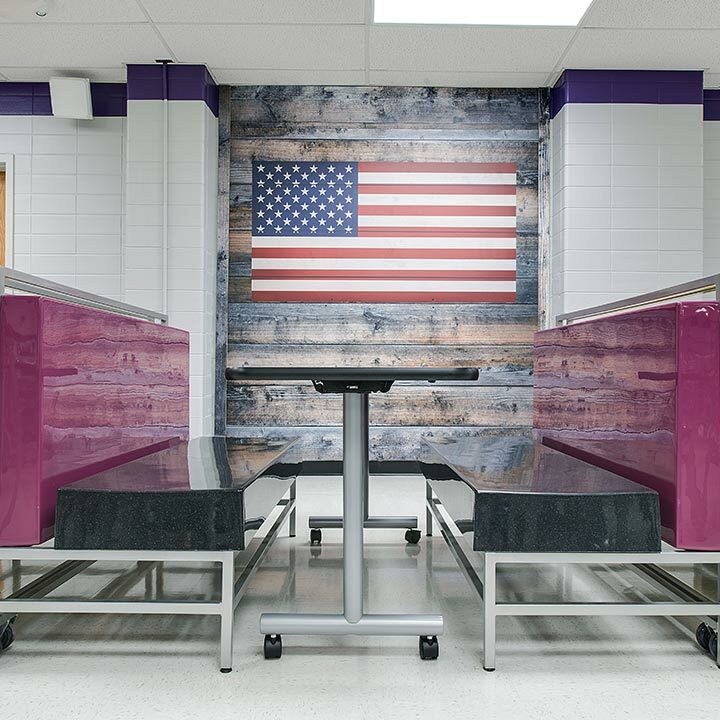 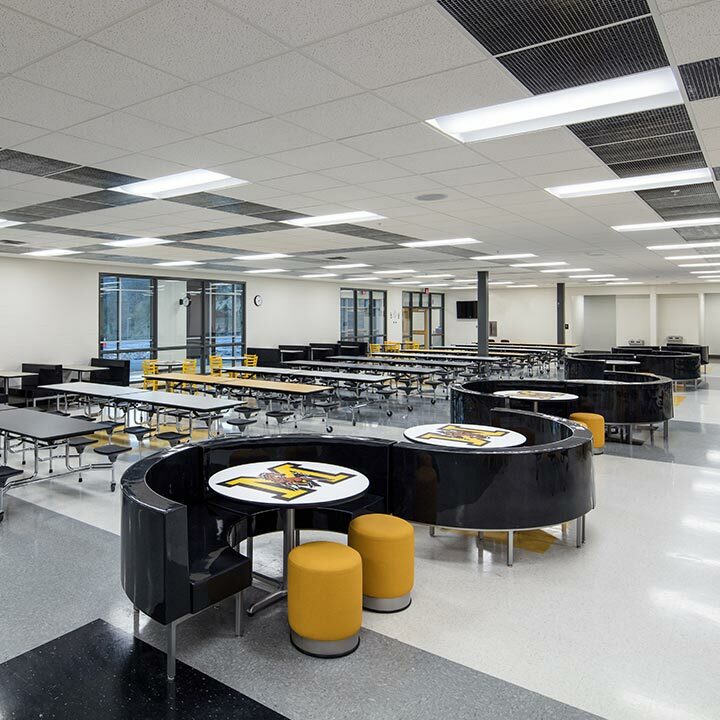 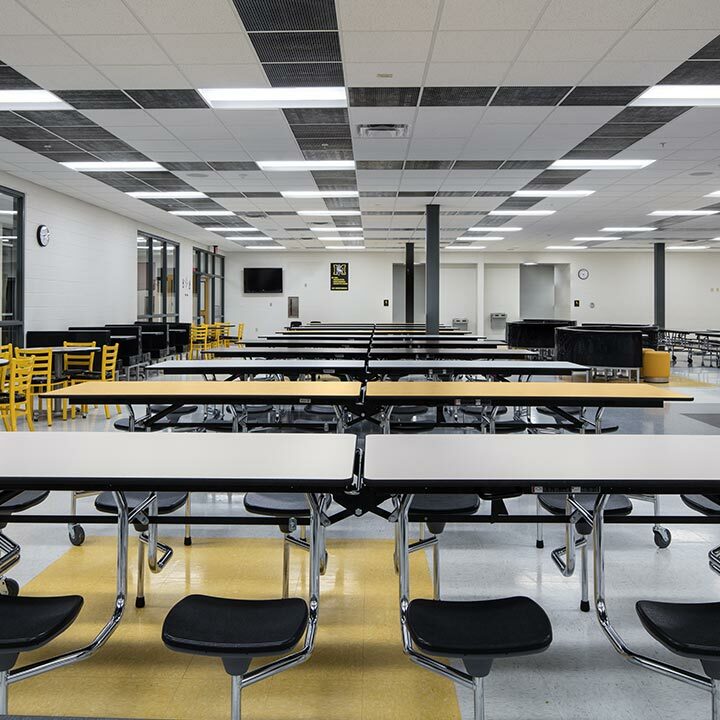 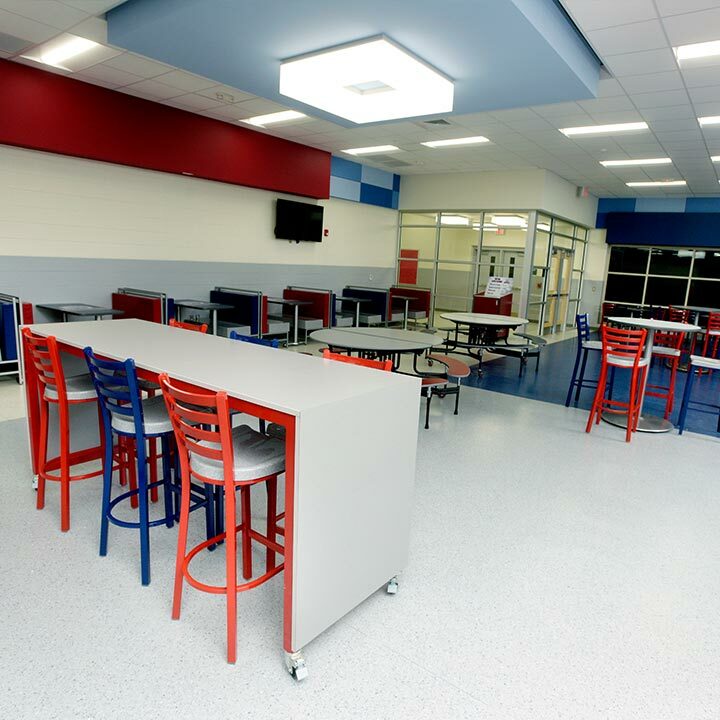 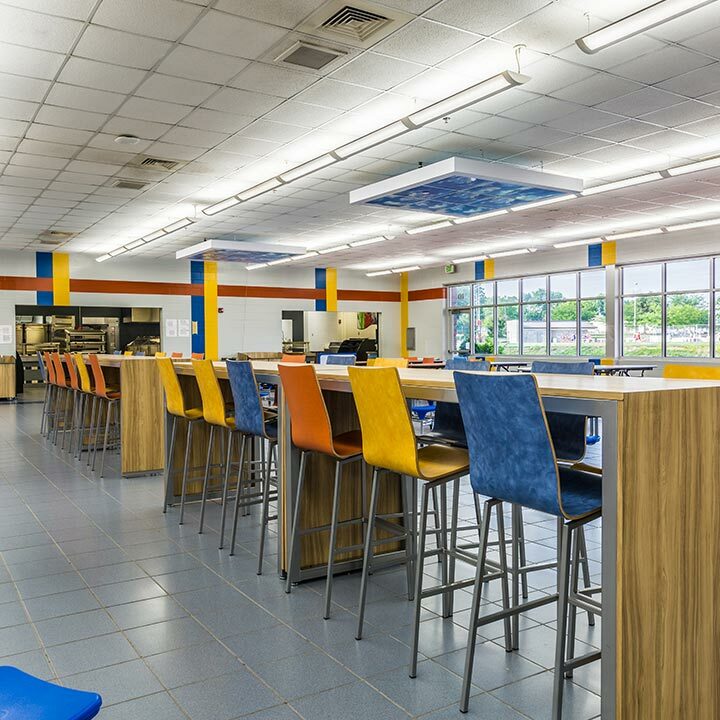 The services and products developed to create the Enriched Dining Experience give k-12 schools and Food Service Directors the opportunity to create exciting and engaging dining spaces that attract students, boost school spirit and increase profitability. 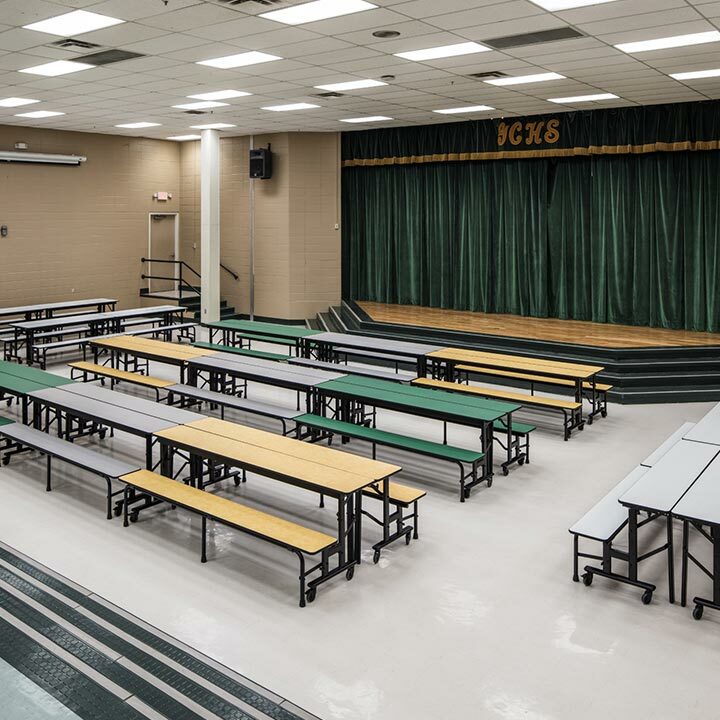 A diverse product line of dining tables, booths, chairs, signage, trash receptacles and serving line accessories offered in a wide variety of finish options providing an endless array of creative options. 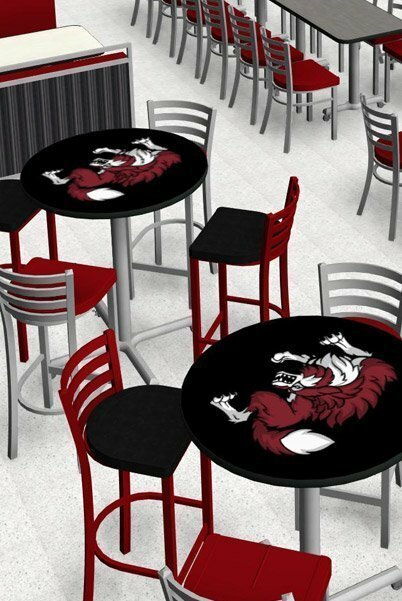 Successfully compete with other off campus & vending options. 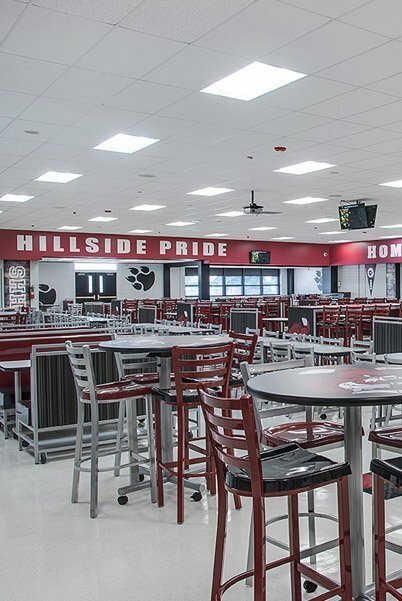 Student participation increases. 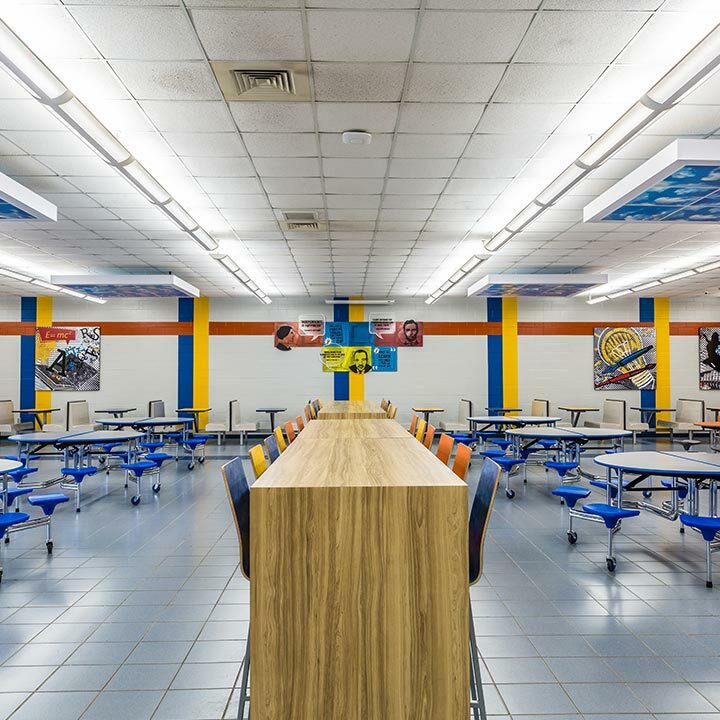 Better traffic flow, which means shorter, faster lines. 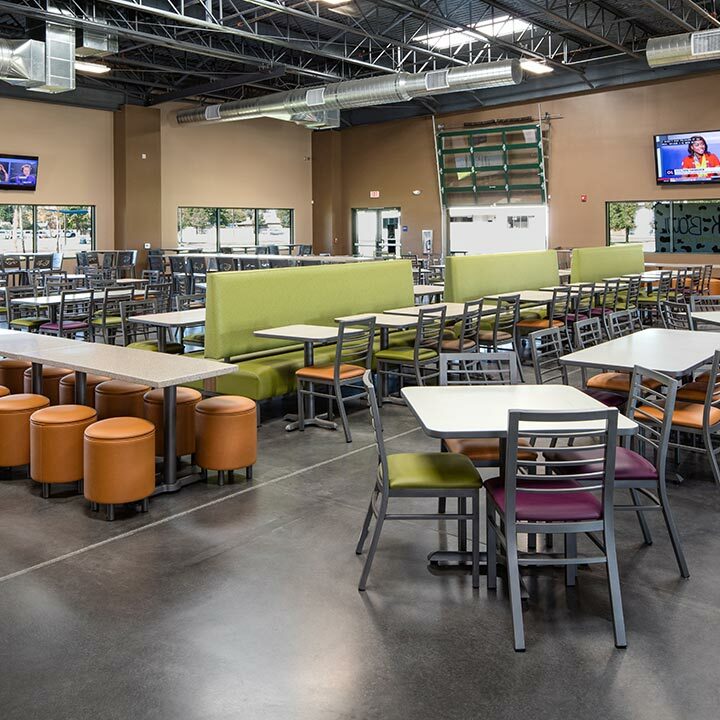 Exceed guests’ expectations with a design that rivals their favorite restaurants. 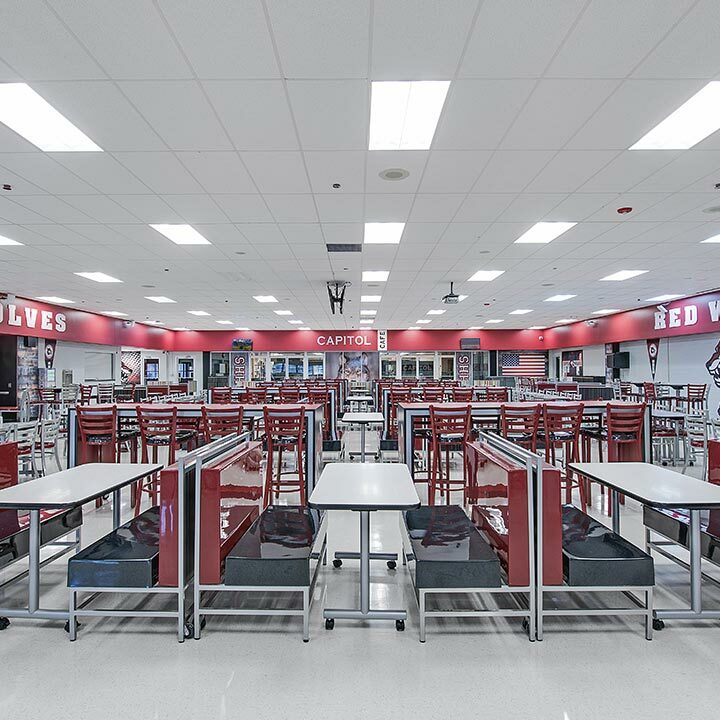 Improve participation, behavior and performance. 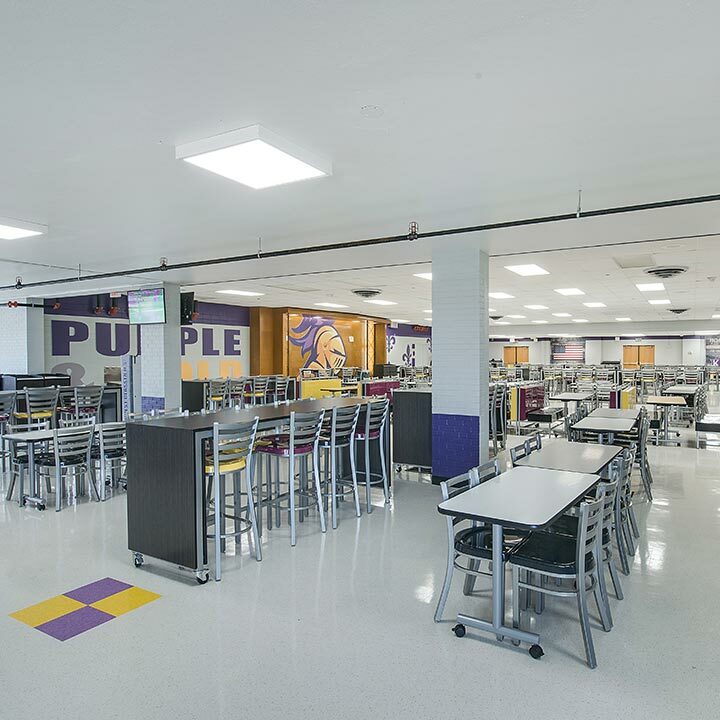 Increased community visibility while nurturing school pride and staff morale.. 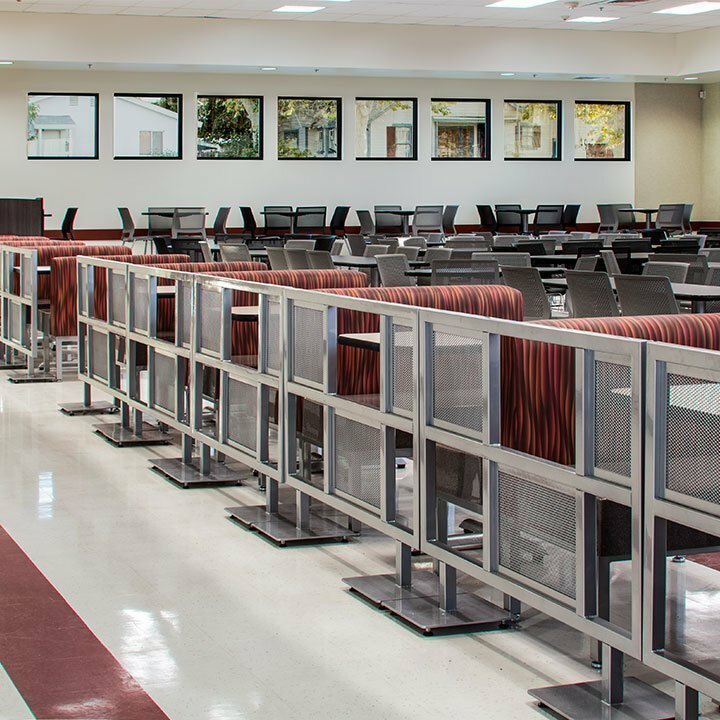 Dining and commons areas require mobile furniture solutions that create multifunctional spaces.